This tutorial demonstrates the correct way to shampoo and condition a client's hair and includes preparation for the service. The video also demonstrates a variety of head massage techniques including effleurage, petrissage, rotary and friction massage. 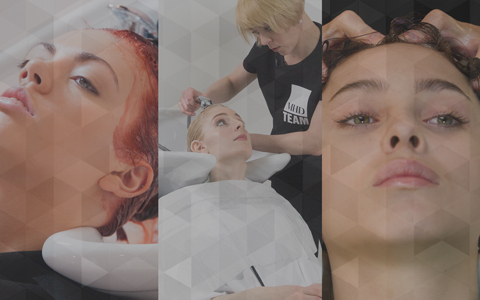 This video tutorial guides you through the basics of removing residue colour following a colour treatment. The tutorial covers a range of treatments, from semi and and quasi permanent to highlight and permanent treatments. For hair treatments there are many types of products on the market such as hair oils, treatment conditioners, treatment shampoos, steamers and heat accelerators. This video outlines the options available and which treatments to use on the hair, and when. The tutorial also provides detailed instruction on application and aftercare. For scalp treatments there are many types of products on the market such as oils, creams, lotions as well as spirit based, vibro-massage and high frequency products. This video outlines the options available and which treatments to use on the scalp, and when. The tutorial also provides detailed instruction on application and aftercare. Angela Sawecki’s lecture demonstrates scalp supplementary salon services using gyratory massagers or audio sonic machines. There are three types of vibratory treatments - percussion, vibration and directional stroking, which are performed by large gyratory massagers or audio sonic machines. Alternatively a high frequency machine can be used to deliver an an electric current to stimulate the blood cells within the scalp. Angela demonstrates the three types of machines used to treat the scalp, neck and shoulders for a supplementary salon service. 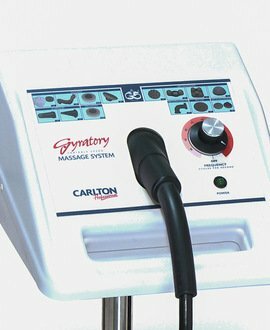 For each machine, the video demonstrates the correct massage patterns and technique to use for maximum benefit to the client. This can be used to stimulate the circulation, blood flow, to relax the client and will add to the professional profile of your salon.